The KW6030 series operates under Access Point, Bridge and Repeater mode. With MIMO technology, it provides reliable connection for your network. The KWA6030 is on of the 802.11 a/n based product acts as access point or bridge at 5.1~5.9 GHz radio frequency, while the KWG6030 access point and bridge supports 802.11 g/n at 2.4 GHz radio frequency. 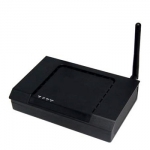 The XN-2493H model complies with 2.4GHz IEEE 802.11b/g standards and support 20MHz and 40 MHz bandwidth, up to 150Mbps downstream and upstream. The product was specialized in easy-and -quick setup and supports low noise amplifier. For more information, view the links bellow or contact us.